Durer breaks convention with this self-portrait. The close up range and eschewing of the traditional three-quarter pose give a power and solemnity to the painting. 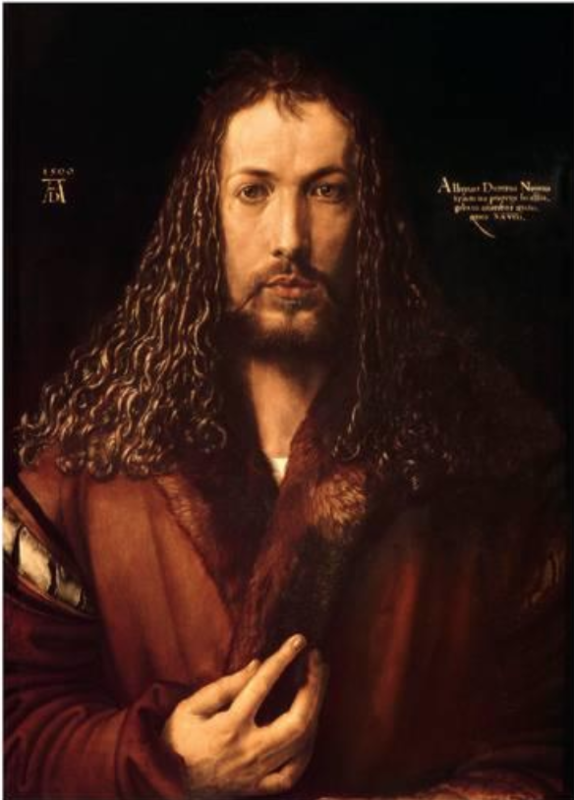 The similarities to imagery of Jesus are unmistakeable and without a doubt intentional, likely done by Durer to communicate his piety and seriousness as an artist.